While Konami is giving out Metal Gear Solid V: The Phantom Pain posters signed by... somebody, series creator Hideo Kojima spent the game’s launch putting his name on anything he could. It’s not uncommon for game developers to stealthily visit stores when their games are released. After all that work, many enjoy seeing first hand how the game is doing. Since the The Phantom Pain’s release didn’t see autograph sessions like previous Metal Gear titles have, it looks like Kojima took it upon himself to tour around stores and sign autographs. Maybe this is just another way for Kojima to make doubly sure his name is on Metal Gear Solid V: The Phantom Pain. Or maybe, it’s just his way to give something back to fans (and the shops that sell his games). Could be a bit of both. Kojima was joined by Metal Gear artist Yoji Shinkawa as they showed up at game sellers throughout Tokyo. The guerilla-style autograph signing will start shortly. Surely, Kojima got permission. Does he need permission? Signing that limited edition PlayStation 4. Shinkawa was also more than happy to sign autographs and draw pictures. This Twitter user noticed the autographs after the fact. A closer look. This is signed to the Tsutaya shop in Shibuya. You have something you want signed? 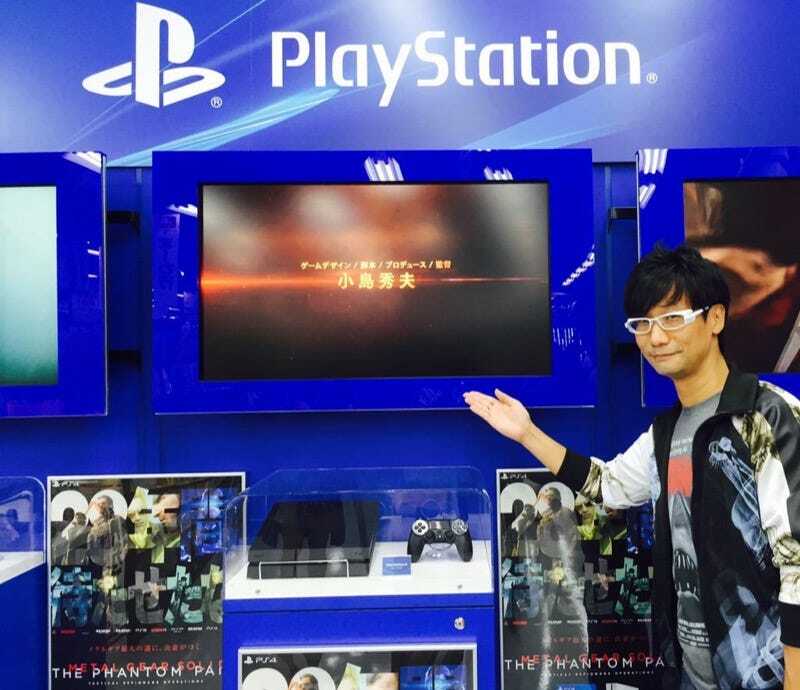 Doesn’t matter if that’s a game box, a console, or a wall, Hideo Kojima has an autograph he wants to give you!